Tribler is an open source peer-to-peer client with various features for watching videos online. The user interface of Tribler is very basic and focused on ease of use, instead of including features. Tribler is based on the BitTorrent protocol and uses an overlay network for content searching. Due to this overlay network Tribler does not require an external website or indexing service to discover content. 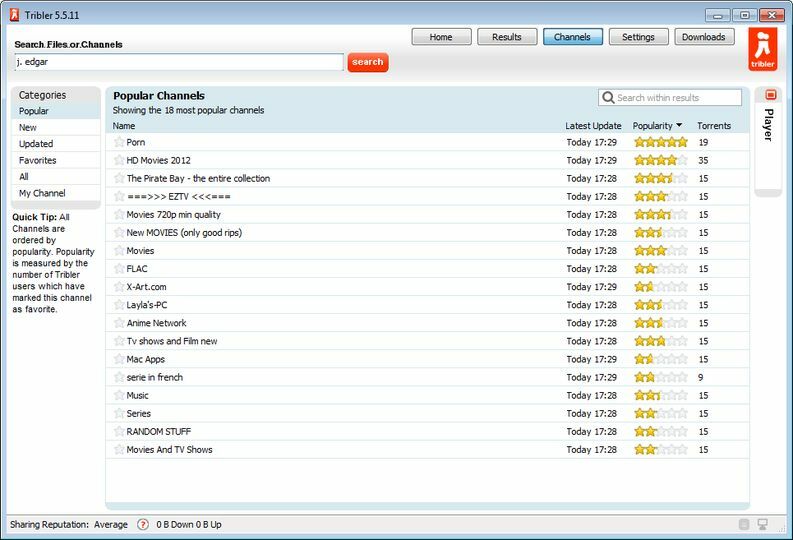 Tribler features include: video-only searching, experimental video streaming, and an integrated video player. Developed by a team of researchers at Delft University of Technology, the main goal is to come up with a robust implementation of BitTorrent that doesn?t rely on central servers. Instead, Tribler is designed to keep BitTorrent alive, even when all torrent search engines, indexes and trackers are pulled offline.